The Seven Isaacs is the culmination of all of my years of writing screenplays, music, and short essays expanded into a much broader novel form. 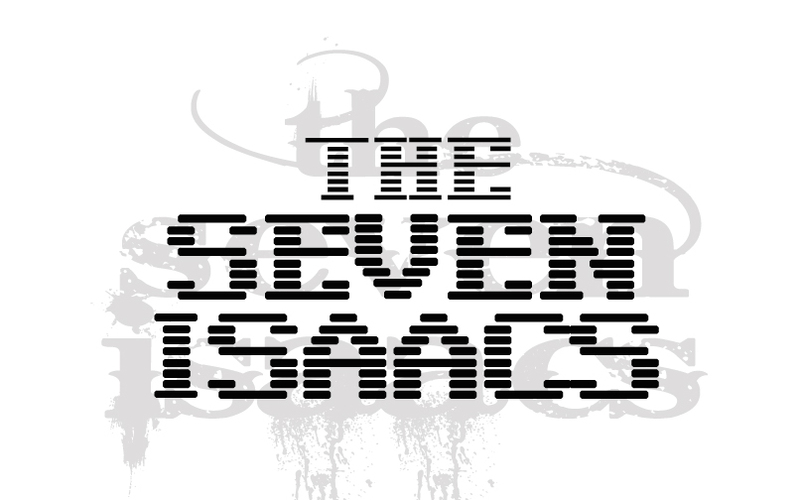 The Seven Isaacs began as a small idea following broad X-Men-ish idea of small children with certain abilities as they are let loose into the world after the lab they were raised in was shut down by the government. The entire story developed from an image I saw in my head of little kids in white hospital scrubs opening up a manhole cover int he middle of a giant field. From there, the seeds of the idea were planted. The story festered in my head for many years as Pressfield’s Resistance had a firm grasp on me in the form of hatred and divorce. I spent quite a few years just trying to get a grip on my personal life and to find some order amidst the chaos. When life turned around, an iPad was put in my hands and the Muse spoke freely through me. I was nothing but a mere writing conduit as I let that force take me over and spill the touching and heartfelt story of these children set forth on this earth and learning what it was like to be human. When Eight awoke he never suspected it would be the last time he would see Father. He also never suspected that he, along with his brothers and sisters would suddenly be thrust into the wild, hunted by an elite and specially trained military task force. Eight and his six siblings are by-products of an underground, illegal human cloning experiment. Born and raised in a laboratory under constant scrutiny, observation and experimentation. They have rarely, if ever seen the blue skies of the world outside. One day, the alarm sounds and the man they call Father ushers them toward safe passage, as the laboratory is seized and shut down by a government task force. The seven aptly named and numbered children are forced into a world unknown and unseen by their senses to experience the vivid realities that we consider day to day living. While struggling with the rising emotions of anger, greed, love, loss and religion, they quickly learn of their delicate place in this world along with the frailty of their bodies and minds as they cope with medical side-effects and “abilities” of their condition as only Father could explain. Oh, and lest we forget, the task force that is set upon their capture and if necessary, extermination of this inhuman and abnormal breed of humanity. The story dissects the journey of the seven children as they discover the modern world for the first time, for better and for worse, while fighting for their lives against a military that is hunting them and the secrets in their past that haunt them. While bordering on science fiction, modern reality and medical discovery, the story unfolds and gently touches on the philosophical effects that human cloning can have on the minds of children when faced with the harsh realities of their differences in this world. The Seven Isaacs is available for purchase via Amazon.com in both paperback and kindle formats. It is also available through iBooks in iTunes and on the Barnes and Noble Nook Market.